Mechanical malfunctions causing the car to drop. Malfunctioning doors or other faults that leave open shafts exposed. Malfunctions of controls and wiring. Nationwide, an estimated 35,000 escalators are in service. Most are located in stores or other commercial establishments, in hospitals and institutions, and in public buildings, such as airports. Elevators also are likely to be located in retail and commercial establishments. Many also serve residential buildings. ConsumerWatch, an organization that informs U.S. consumers about an array of products and safety issues, reports that about 900,000 elevators are in operation in this country. Each transports an estimated 20,000 American per year. Both escalators and elevators provide convenience for users. Unfortunately, both can harm riders as well. 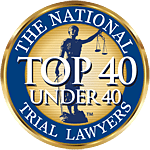 Associates and Bruce L. Scheiner, Attorneys for the Injured, has a distinguished 40-year record of successful service to residents of communities throughout Southwest Florida. Mr. Scheiner and his wife began the practice with a commitment to providing the highest quality legal representation in conjunction with respectful treatment of each client we serve. Later joined in the firm by their son, Associate Attorney Preston Scheiner, the Scheiners have build one of the area’s largest and most recognized law practices. Naples and Cape Coral personal injury attorneys at our firm know that escalators transport about 12,000 people, on average, in a year’s time. The devices may provide transportation between different floors in a building, or they may speed travel from one place to another on the same level, as do so-called moving sidewalks commonly seen in airports. Research by the Consumer Product Safety Commission attributes about 6,000 injuries per year to escalators. Most – about three-fourths – occur when riders fall. About 1 in 5 escalator injuries is caused by entrapment. The CPSC reported an average of 2 fatalities per year due to escalator injuries, noting that most serious harm is done when riders or their clothing are “caught in” escalator parts – either between steps or between steps and the side wall of the machine. Concerns are particularly high for young riders, as children are more likely to be injured when their fingers, hands, or feet become trapped. When residents of Fort Myers, Cape Coral, Naples or other Southwest Florida cities suffer injuries in elevator accidents, they can turn to Associates and Bruce L. Scheiner. There are various kinds of elevators -- they serve passengers, carry freight, offer limited use transport, enable people to move between levels of residences, and transport maintenance and other personnel within specific situations. Our personal injury and wrongful death attorneys know that elevators are outside the purview of the CPSC, but that agency, in conjunction with the Bureau of Labor Statistics, does report that elevators injure more than 10,000 people in the U.S. every year. Fatality figures are not readily available, though most elevator-related deaths – work-related and non-work-related – are attributed to falls down shafts. Others are said to involve entrapment between elevator cars and the walls of their shafts. If you or someone you love has been hurt in an elevator or escalator accident, the Fort Myers, Naples and Cape Coral personal injury lawyers at Associates and Bruce L. Scheiner, Attorneys for the Injured, can help. We work with a wide range of experts in fields ranging from investigation to construction and engineering to medicine and more. That means we have the resources needed to thoroughly examine the circumstances of the accident that injured you or that took a loved one’s life. We can then build a compelling case designed to recover monetary damages for you. To evaluate your case, elevator and escalator injury lawyers at our firm will meet with you free of charge at Associates and Bruce L. Scheiner’s offices in Naples, Cape Coral, Fort Myers, Port Charlotte or Sebring. If you are hurt and unable to come to us, we’ll come to you at your home or hospital room. We charge you no fees unless we win.